Sep George Maurice Gillett 6th Batt. Leicestershire R.
Sep Fredk. John Houghton Leicestershire Reg. Sep Arthur Albert Mercer Serg. 6th Leinster Reg. Sep Norman Weaver Lieut. 2nd County of London Yeo. Sep Donald Hassel Weaver Lieut. 3rd Essex Reg. Sep Geoff Ambrose Houghton MC Capt Roy Garrison Art. 1915 Jan Walter James May 8th Batt.Roy.W.Kent R.
1914 Sep Jesse Stovold 7th East Surrey Reg. Mar George Beagley 1st Batt. N.Staffs Reg. Apr Frederick Mills 2/3 Essex Reg. June Ethelbald Shrubb 7th Batt. Glo’ster Reg. Oct Albert Harry May 2nd Batt. Roy W Kent R.
Mar George Horlock 7th Middlesex Reg. May Thomas Keats Army Ordnance Dept. June Russell Davey 18th Middlesex Pionrs. June John Merson Motor Trspt. A.S.C. June Wm. Viney Pink 1/3 Roy. W. Kent Reg. June Thomas Charles Wren Army Ordnance Dept. July Walter Marshall Motor Trspt. A.S.C. Apr Thomas Horlock 3rd Batt. Leicestershire R.
July Lincoln Holland 4th Batt. Norfolk. Reg. July Edward Horlock Motor Trspt. A.S.C. 1918 Apr Hyla Edwin Bolter Motor Boat Res. R.N. 1918 Mar Herbert Napper Bedfordshire Reg. 1918 June Henry Major Wonham Roy. Sussex Reg. 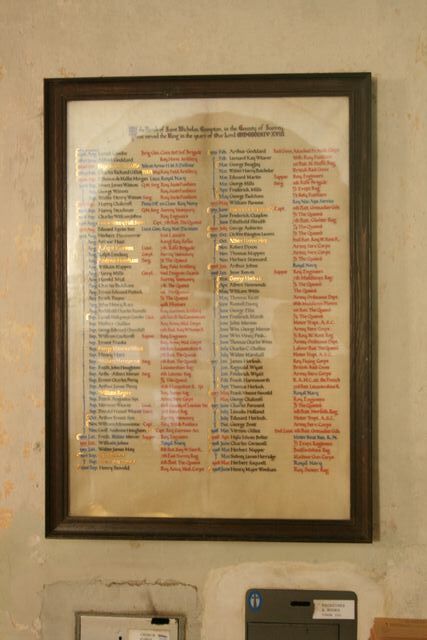 Note that the names shown in bold are gold in the original indicate those that died. He is remembered on panel 1 of the Ploegsteert Memorial. He was awarded the Military Cross "for conspicuous gallantry and devotion to duty. He carried out several difficult reconnaissances with great contempt of danger under heavy shell fire. Though twice wounded, he remained at duty until the battalion was relieved". whose ward he had married. He died of his wounds on 15 October 1918. He was 31. He is buried in grave VII B 79 Duisans British Cemetery, Étrun. He was the son of James and Louisa Hounsome, The Common, Compton. He was born in Madras and, in 1911, he was a student at Wellington College. He is remembered on pier and face 5D and 6D of the Thiepval Memorial. 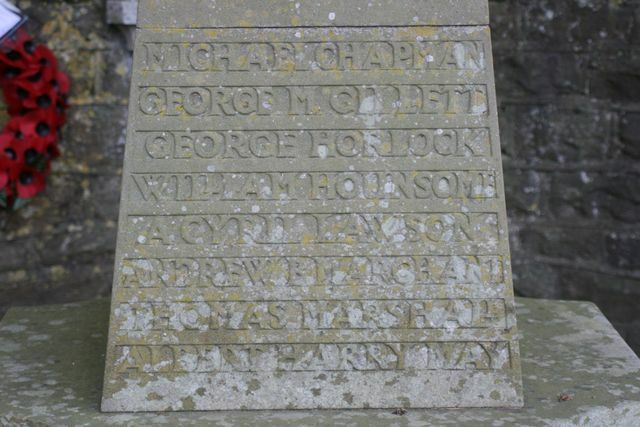 He was son of George and Ann Pink of Compton and the husband of Bertha K G Pink of Rowledge, Farnham. He was son of George and Annie Pink of Guildford. He was the son of Sir Henry H and Lady Henrietta Scott, 17 Stratton Street, Piccadilly. 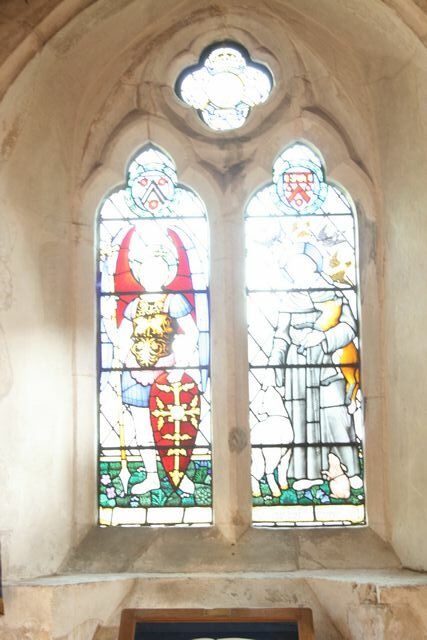 There is also a stained glass window in memory of him and his Father who had died in 1911. Captain, 4 Field Squadron, Royal Engineers. Army no. 95198. He was the son of Major-General Richard L Bond, CB, CBE, DSO, MC, and Isabell H R Bond of Compton. 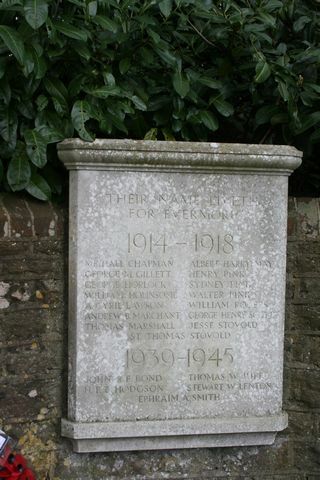 The British Expeditionary Force suffered many casualties in covering the withdrawal to Dunkirk. De Panne village was the site of the final General Headquarters of the BEF in 1940, and there was a Casualty Clearing Station on the beach, which was an embarkation point for the evacuation. From 27 May to 1 June 1940, the Germans strove to prevent the embarkation of the troops by incessant bombing, machine-gunning and shelling. The first German troops reached the village between 14.00 and 15.00 hours on 31 May, and after heavy fighting, the commune was completely occupied by about 09.00 hours on 1 June. 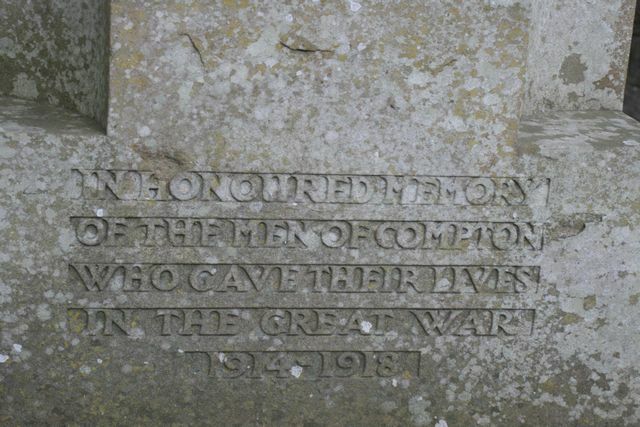 He was the son of William A and Alice E Jupp of Compton. days between the start of the German offensive and its return to Britain. His aircraft was Hawker Hurricane Mk I Serial number: L1978, VY-X engaged on an affiliation exercise with Lysanders. The aircraft suffered engine failure on take-off and crashed attempting a down-wind landing at Mons-en-Chaussée at 09.45 hours. He was the son of Harry and Annie E Smith and the husband of Winifred E Smith of Compton. It is probable that he died on the Island of Leros where part of his battalion was trying to prevent a German invasion. However HMS Eclipse, an E class destroyer exploded a mine off the island of Kalymnos. When she was sunk HMS Eclipse was carrying over 200 soldiers from the 4th Battalion, The Buffs (Royal East Kent Regiment) to reinforce the island of Leros. 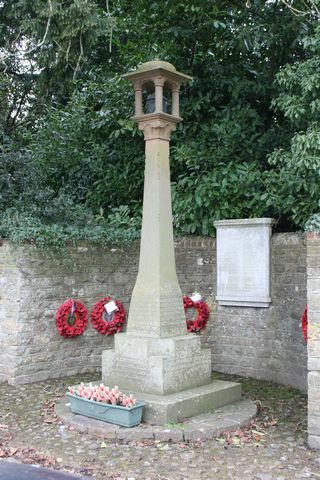 An estimated 119 crew and 134 soldiers died in the sinking. In either case, the Athens Memorial is where one would expect to find his name. At the end of October 1943 in Italy, the Allies were facing the German winter defensive position known as the Gustav Line, which stretched from the river Garigliano in the west to the Sangro in the east. It was not until 17 January 1944 that the Garigliano was crossed, and Minturno taken two days later. incurred in crossing the Garigliano in January. He was the son of Lilian N and the late Nicholas B Dawes and the husband of Sheelah D Dawes of Compton. civilian. He had probably been discharged as no longer being fit for active service and died from his injuries. His regiment had played a key role in the evacuation from Dunkirk. 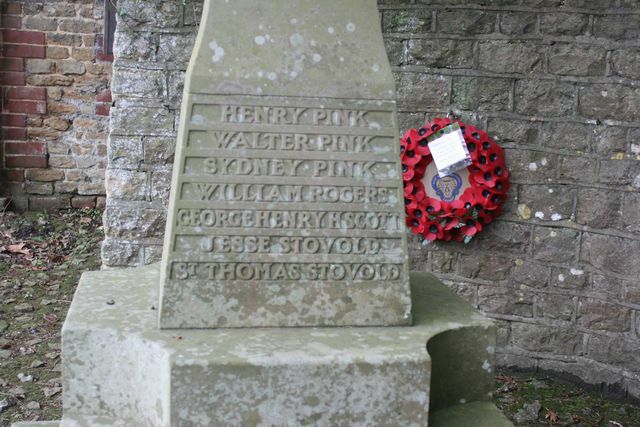 Not on the War Memorial but included on the Roll of Honour in St Nicolas Church. Arbuthnot, commander of the First Cruiser Squadron. On 31 May 1916, the day before the battle of Jutland, the First Cruiser Squadron was the advance guard for the Grand Fleet formed the starboard flank of the cruiser screen, sailing ahead of the main battle fleet. back towards the Grand Fleet. Part of the First Cruiser squadron became entangled in the fighting around HMS Lion, Beatty’s flagship. A German cruiser, the Wiesbaden, had been badly damaged in a clash ahead of the British battle cruisers. As Beatty came north, HMS Defence came in from the North West. Admiral Arbuthnot had orders to engage enemy cruisers, and so made for the Wiesbaden, coming so close to the Lion that the larger ship had to alter course to avoid her. Unfortunately for HMS Defence, the main German battle fleet was close behind HMS Lion, who had only just signalled sighting their battleships. Four minutes after passing HMS Lion’s bows, HMS Defence was hit by two 12 in salvoes from SMS Friedrich der Grosse, Admiral Scheer’s flagship. HMS Defence was not designed to stand up to this sort of punishment. The German shells may have ignited the cordite charges in the ammunition tubes or simply penetrated to the magazines, and the ship exploded. 893 men died.